I was so nervous I was shaking while I was waiting to hear back, but they said yes as long as we keep a clean litter box (duh). He wandered off while we were running errands, but was hanging out on the back stoop all morning until we left, so I'm not sure that he has another home. I'm so excited! 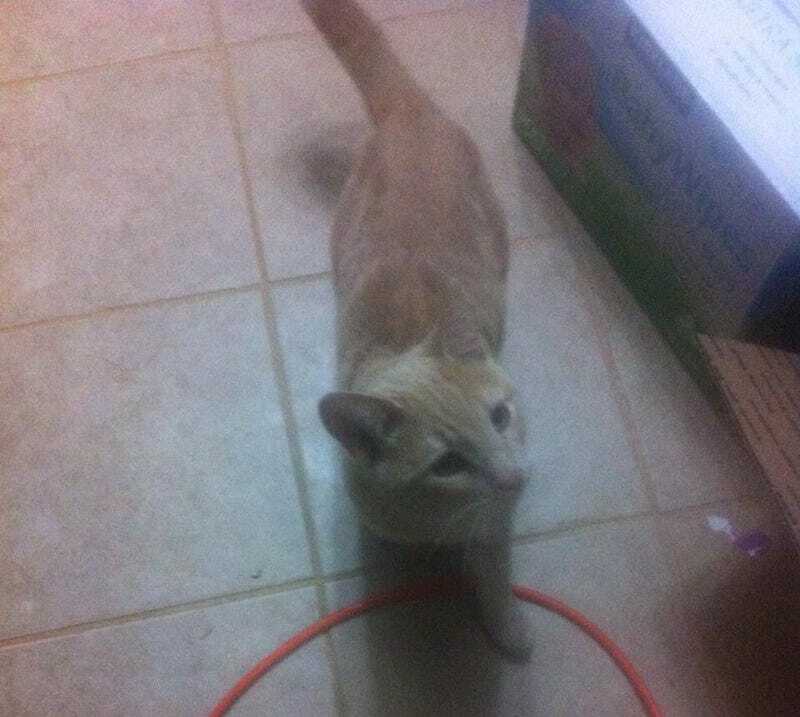 My 8yo named him Oscar last night, he was also very nervous that someone would tell out landlords we had a cat in the house when we weren't supposed to. I told him we can't be arrested for harboring a feline and then I laughed and laughed while he looked at me funny because I'm hilarious.